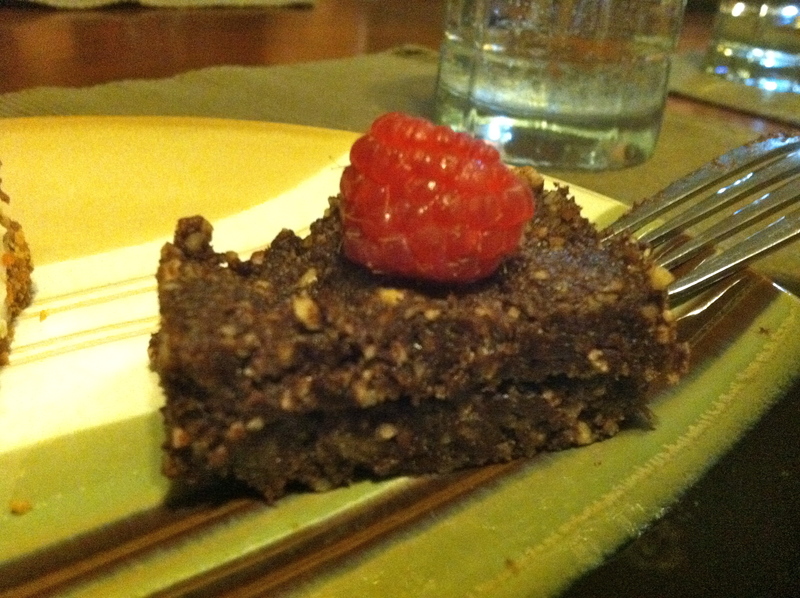 Last night I got to try some amazing brownies that my brother made… they were super moist, rich and delicious! The ingredients are simple and takes only a few minutes from start to finish, to eating!!! He got the recipe from the The Rawtarian Blog and I believe only made one change in the recipe. Instead of doing just cacao powder he used 1/2 cacao and 1/2 cocoa powder. I like using cacao, but for those of you who want that really familiar chocolatey taste, try doing 1/2 until your palette really enjoys the super food cacao.